Barber Kendell Paul shares a light moment with his son Kerdell during Tin Man’s New Image Barbershop’s recent customer appreciation day in Sangre Grande. MILD afternoon breezes, lively conversation, some picong and an outpouring of love. Such was the ambience at the recent Tin Man New Image Barbershop’s fourth annual customer appreciation day. 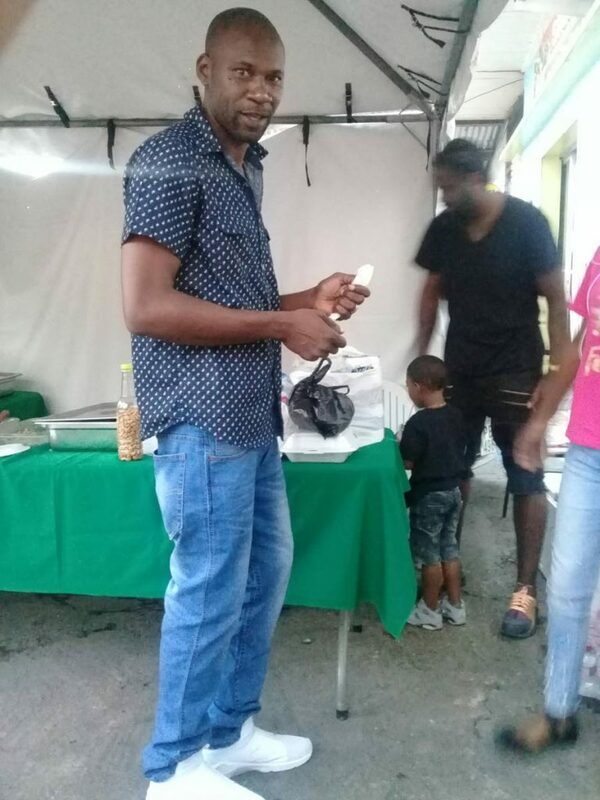 As usual, the event attracted scores of clients to the popular Brierley Street, Sangre Grande barbershop, with some already anticipating this year’s venture. Dexter “Sharky” John, one of the shop’s longest-serving barbers, said the event was an important event in the life of the facility. John disagreed with the view among some people that the customer appreciation day was extreme. Barber Dexter “Sharky” John at the Tin Man New Image Barbershop’s recent customer appreciation day in Sangre Grande. This year, the theme, Backayard Christmas, featured dishes such as wild meat, provision, vegetable rice and macaroni pie. John complimented the barbers for their selfless contribution to the event. They are Brian Lewis, Kendell Paul, Curtis Bain, Keilon Charles and Sherwin Lee (who is overseas). John said the event has grown in popularity. One customer, who recently moved to Sangre Grande, said he had never experienced a customer appreciation day at any barbershop. “This is really something nice and they should keep it up,” he said. John said the barbers also get the opportunity to interact with the clients more intimately. “With this, you get to know the person as an individual not just as a client.. This is something that has been growing and we want to keep it on that level and see if we can reach more and more people,” he said. John said the appreciation day has also extended to others in the community, including the homeless. This year, the barbershop is hoping to solicit support from businessmen in the community with a view to introducing toys and other items in keeping with the spirit of the season. 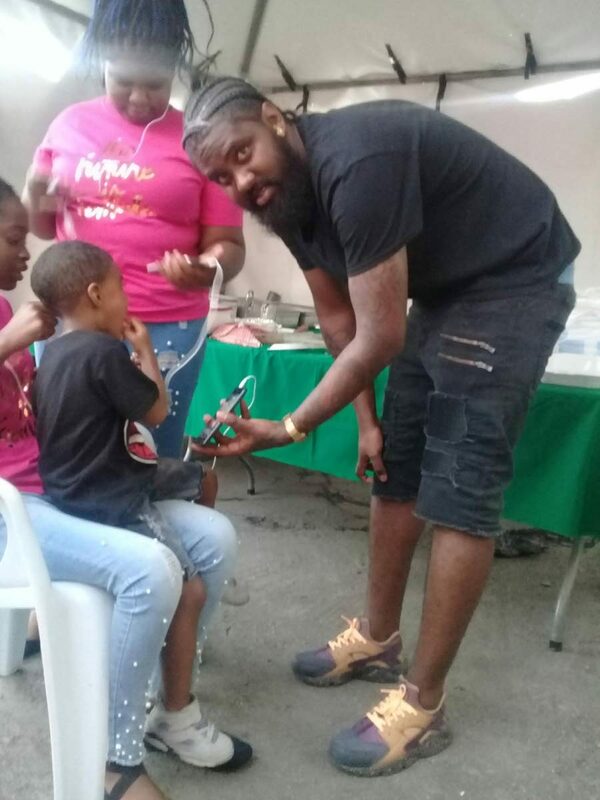 As for the future, the barbers are hoping that all of their counterparts in Sangre Grande could come together to host a big celebration for clients, possibly at the Monte Cristo Park, one of the prominent recreational spaces in the eastern district. John joked that if and when it comes to fruition, “We would not be working but going there to serve the people. Reply to "Tin Man barbershop shows appreciation"